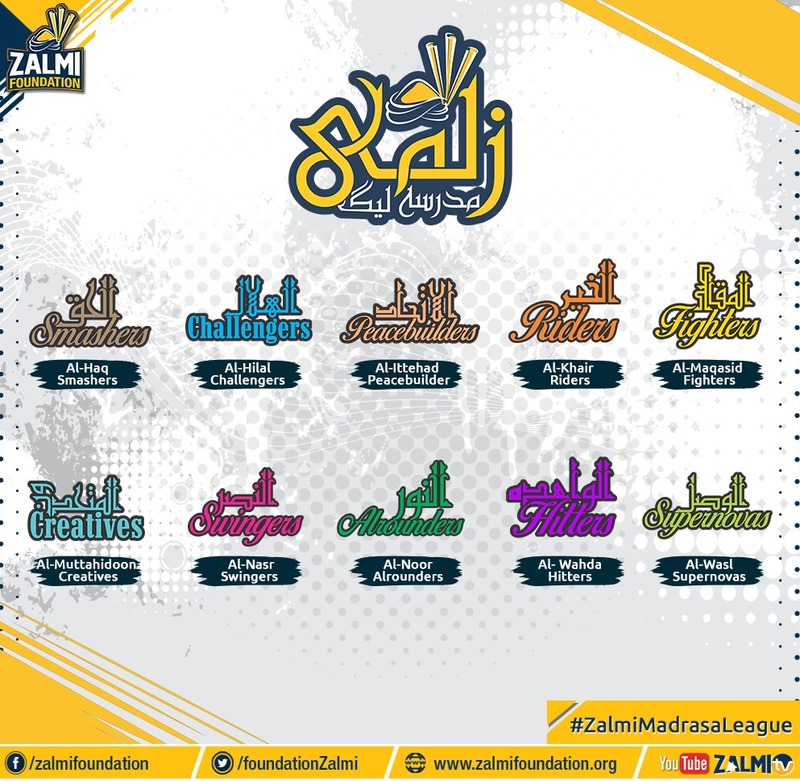 Pakistan Super League's number one brand Peshawar Zalmi in collaboration with the Zalmi Foundation are proud to present to you a third league "The Madrasa Cricket League". " 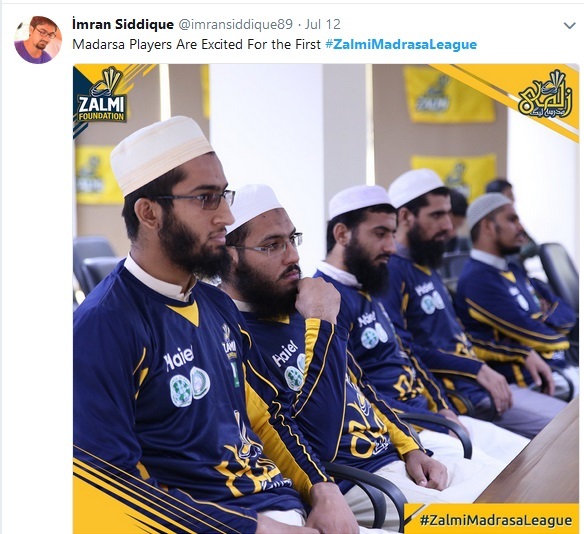 After launching Pakistan's first school league and the Global league, Peshawar Zalmi proudly announced the launch of their "Madrasa Cricket League". The league is a collaboration between the Zalmi Foundation and the World Council of Religions. Chairman of Peshawar Zalmi Mr. Javed Afridi along with members of WCR unveiling kits of Zalmi Madrasa League. 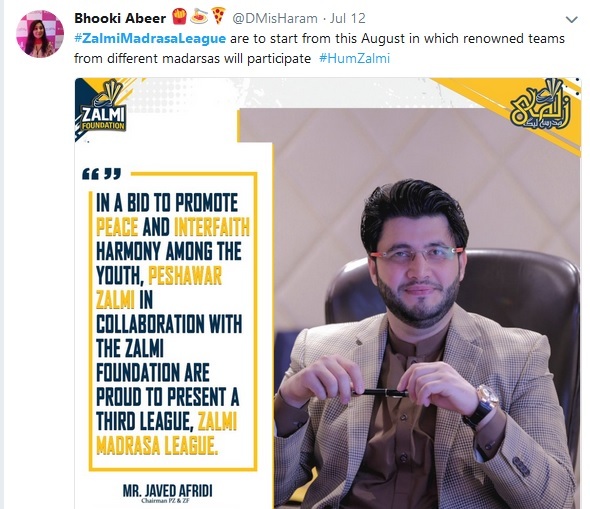 The main aim of this league is to promote peace and interfaith harmony among the youth", said the Chairman Javed Afridi. 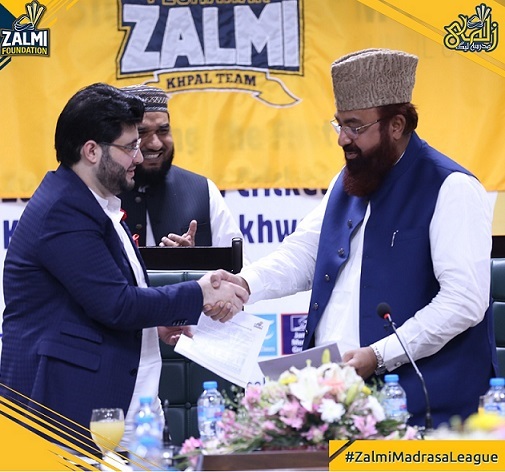 The press conference of the Zalmi Madrasa Cricket League was held at Haier Factory, Raiwind Road, Lahore and Mr. Javed Afridi, Chairman of Peshawar Zalmi, along with Maulana Muhammad Yaseen Zafar, Secretary-General, Wifaq-ul-Madaris Al-Salfia, Hafiz Muhammad Nauman Hamid, Executive Director - WCR Pakistan, Father Nadeem Francis (Secretary: Catholic Bishops Conference Pakistan) & Sardar Kalyan Singh (Sikh Community Leader) were also present and announced this monumental initiative. 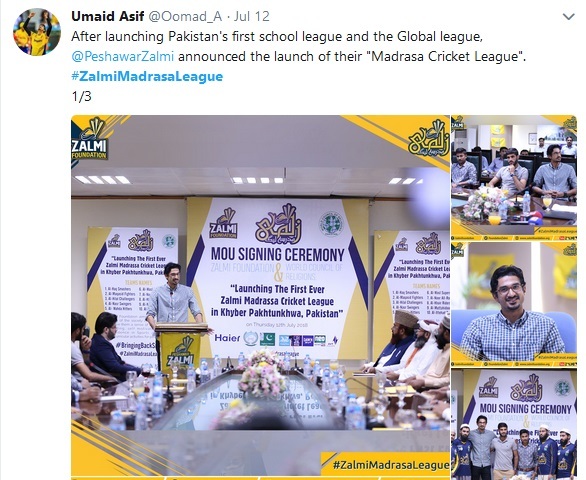 Umaid Asif, Ibtisam Sheikh and Muhammad Asghar were present at the Zalmi Madras league press conference. Chairman Peshawar Zalmi, Mr. Javed Afridi has proved yet again that Peshawar Zalmi is not only a cricket franchise, it is a long-term ideology built on the foundation of promoting sports in the region and empower the youth of KPK through the initiatives of Zalmi Foundation and we have proven that time and again. We also aim to promote inter-faith harmony and religious tolerance among the youth. 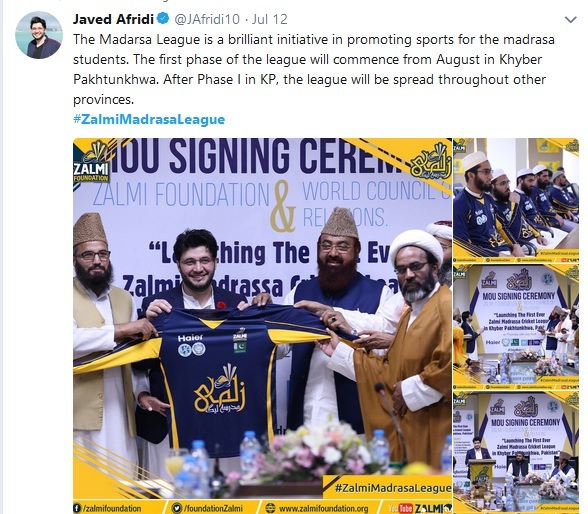 Zalmi Madrasa League is the first step in achieving this long-term vision. Mr. Javed said that through sports, the message of peace and prosperity can be spread throughout the world. Through this league, the students of madrasa will be diverted towards cricket and with this, they will also be exposed to religious conferences that will help them in enhancing their knowledge. Students from all Madrasas will participate in this league. During the press conference, the logo and kits of the league were also revealed. After Phase I in KP, the league will be spread throughout other provinces where there will be a final between the best madrasa teams. The star bowlers of Peshawar Zalmi, Umaid Asif, and Ibtisam Sheikh, along with Athar Ismail DIG Lahore, Nasim Khan Achakzai, Director CSRP, Maryam Khan, Adl Home Secretary, Fouzia Waqar, Chairperson Punjab commission on the status of Women were also present for this historic moment.